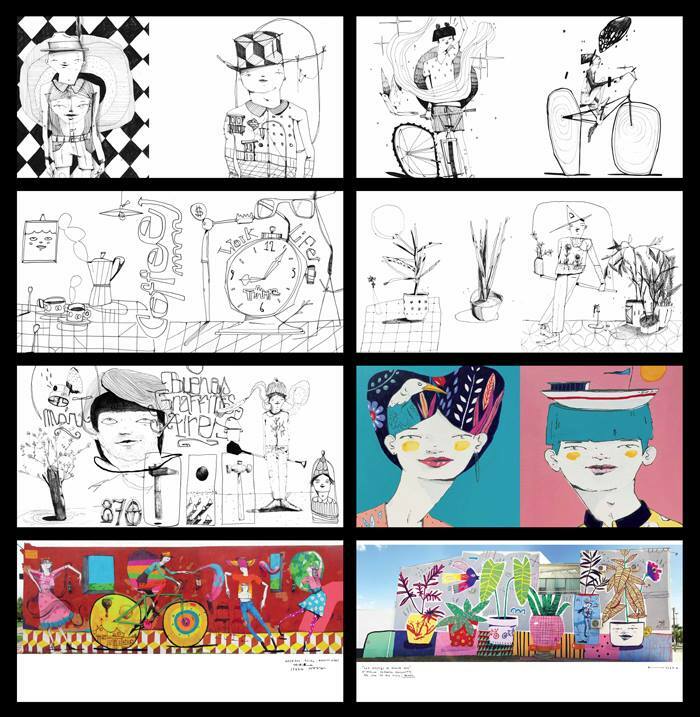 Mart, one of Buenos Aires’ most unique and best loved artists, has recently released a colouring book for adults entitled “Into The Air Colouring Book”. Mart’s work, stylistically whimsical and playful in nature, makes an easy transition from the streets and the gallery to print media. 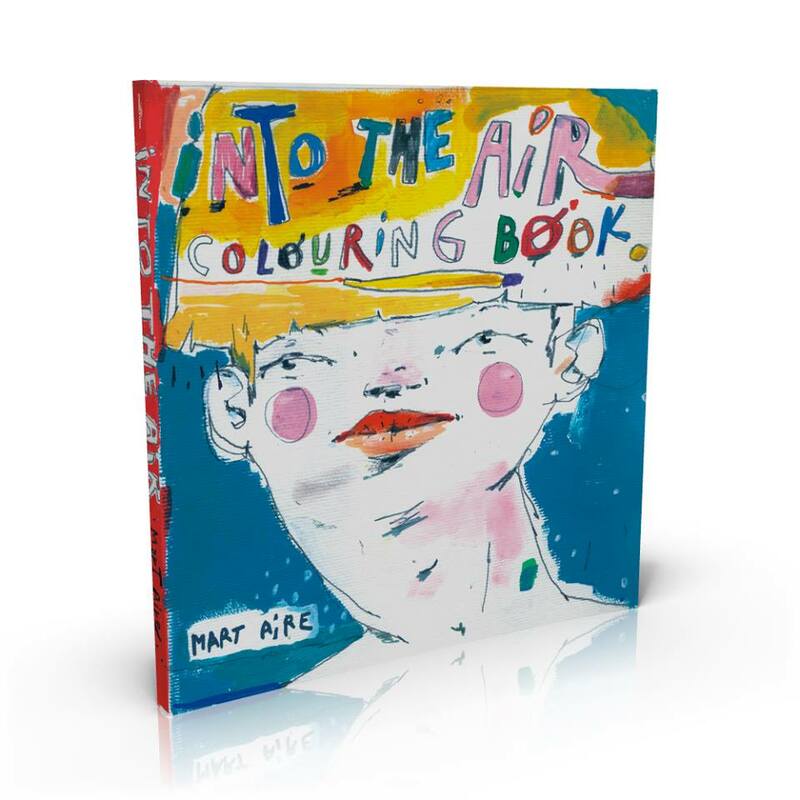 The book’s 100 pages allow you to paint alongside the artist, as it contains both drawings coloured in by the artist and black and white drawings, which the reader is invited to complete by taking inspiration from Mart’s signature colour palette or by improvising their own. The protagonists of Mart’s murals, long limbed “flaquitos”, feature in the book, along with details such bicycles and plants, all executed in his trademark freehand style of thin, loose lines. 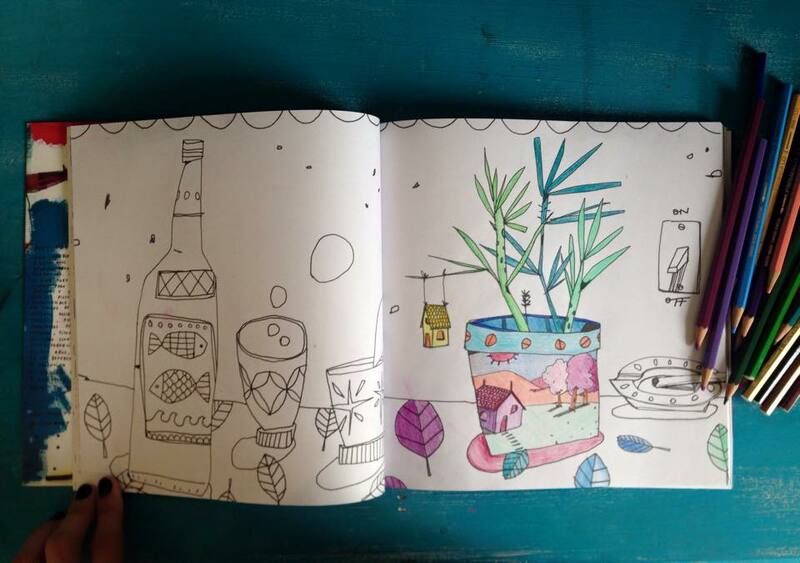 The popularity of adults’ colouring books has been rising over the past couple of years and they are being lauded as a meditative tool for people whose demanding lives don’t allow them time to be creative. A wide range of colouring books have been released internationally from a variety of artists, from illustrators to graphic designers and tattooists. The activity books are sometimes intricate, sometimes patterned, sometimes pixellated, as seen here in this Buzzfeed roundup. Street artists such as Buff Monster, Cyrcle and Shepherd Fairey have contributed to the “Outside The Lines” colouring book and Mart joins their ranks with “Into The Air”. “Into The Air” was released in December and is available in most good bookshops nationwide, including Yenny/El Ateneo and Cuspide.